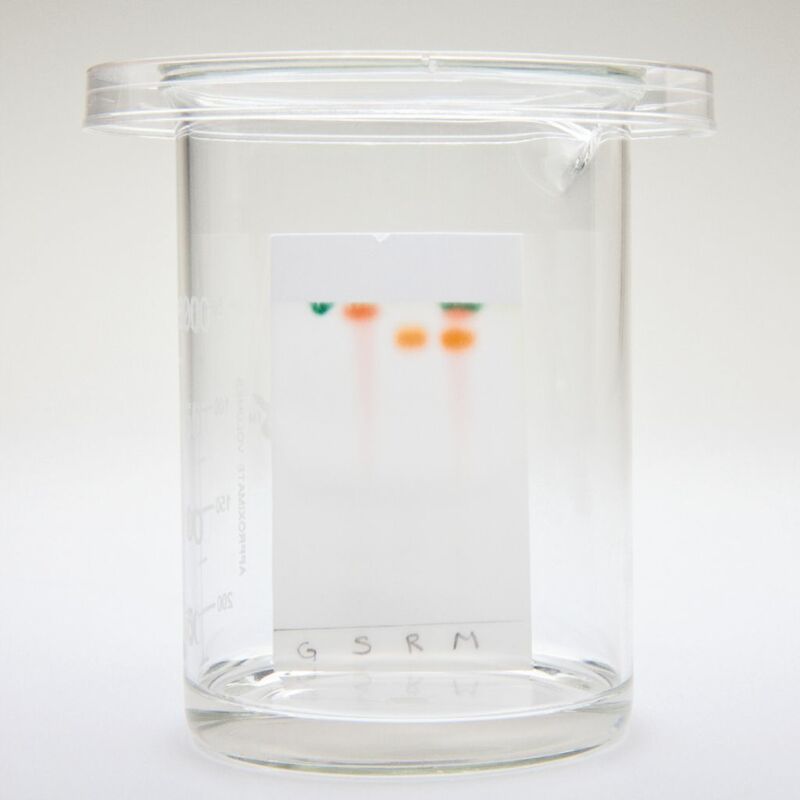 Home > Educational Materials > Chemistry Educational Materials > Applied Chemistry Learning Activities > Ward's® AP Chemistry Investigation 5: Thin Layer Chromatography: How Can we Separate a Mixture? 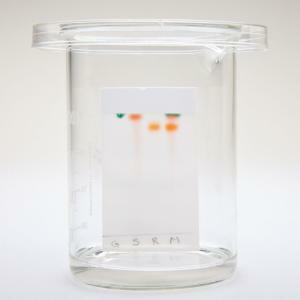 Ward's® AP Chemistry Investigation 5: Thin Layer Chromatography: How Can we Separate a Mixture? 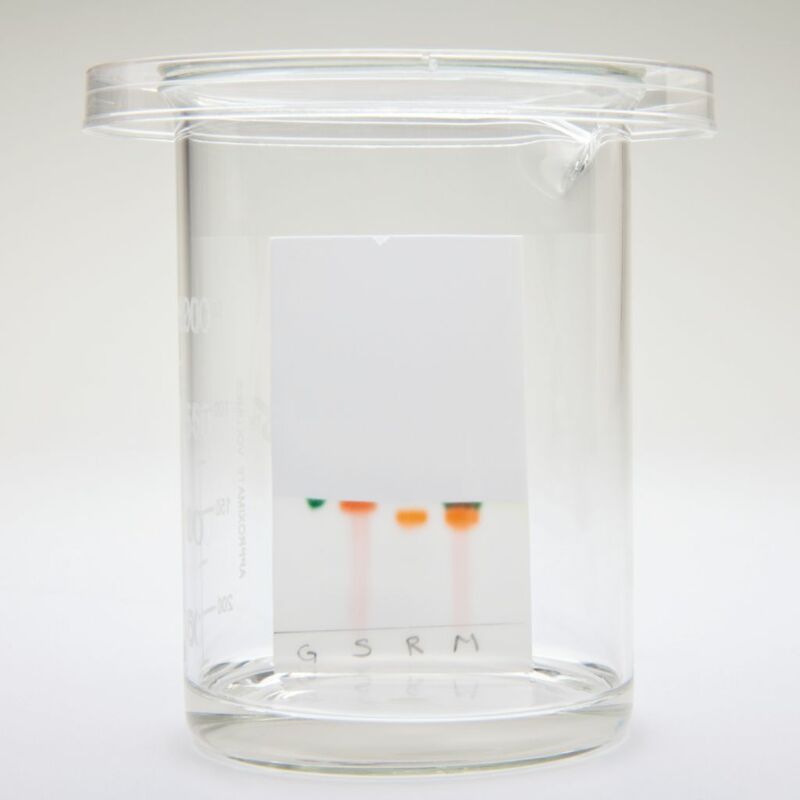 Students will explore the analytical technique of chromatography, to study how similar molecules can be separated from one another when in a solution. This kit challenges students to experiment with different solvent systems in order to understand polarity and the concept of "likes dissolve likes." 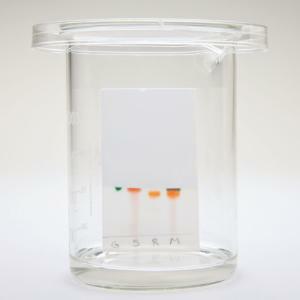 Includes food dyes, sodium chloride, isopropyl alcohol, chromatography paper, and capillary tubes. Requires a 250 mL glass container with lid, available separately. Ordering information: Kit contents include Food Dye package, Sodium Chloride, Isopropyl Alcohol, Chromatograph Paper, and Capillary Tubes. Materials required but not provided are Pencils, Beakers, Plastic wrap, DI water, Lab Notebook, Gloves, Safety Goggles, Lab Aprons, and Metric Rulers.